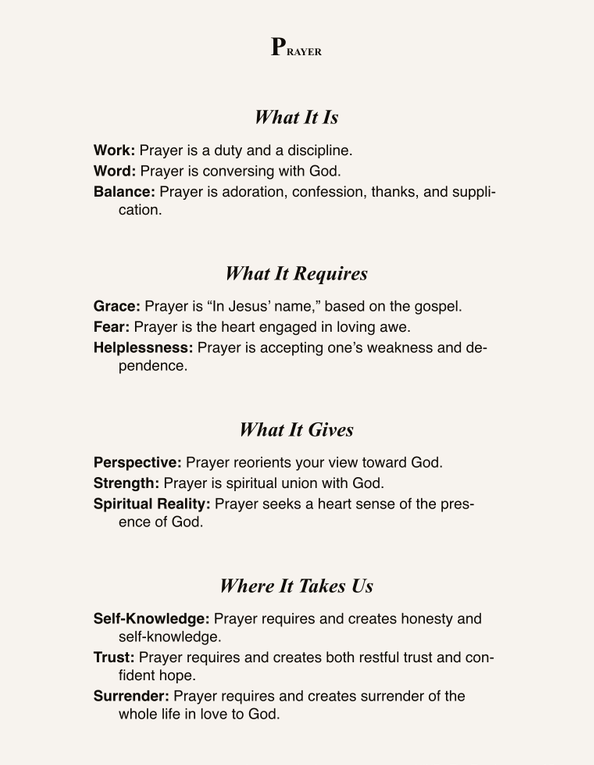 …suggests that after meditating on the Scripture, you should pray through each petition of the Lord’s Prayer, paraphrasing and personalizing each one using your own needs and concerns. Keller uses the phrase “Spiritually ‘Riffing’ on the Lord’s Prayer” (which might be my favorite phrase of his ever, for various reasons haha) to describe the process. He suggests that this is a beneficial way to both provide structure to your initial prayers to help focus flighty minds like mine. To be very honest, distracting thoughts have often keep me from beginning or completing times I’ve set aside for prayer and have discouraged me in past pursuits of deeper prayer. As such, I’ve found this to be an immensely helpful tool to add to my “spiritual tool belt” as it were-and it’s so simple! Who among us doesn’t already know at least most of some version (ESV, KJV, NIV, or a combination) of the Lord’s Prayer by heart? [Incidentally, this is an excellent example of the power memorization of the Word has to impact the other spiritual disciplines.] And who among us couldn’t benefit from implementing the model Jesus gave his disciples in answer to their request to teach them to pray? Now neither Keller nor Luther (nor I!) are suggesting that this is something you must do every time you pray. To turn this into a law or requirement or “the” way to pray is to miss the point. Instead, it’s offered as a helpful tool. May we avail ourselves of it and other similar tools in our daily prayers.